Seacoast United offers various events over school vacation weeks to keep the kids busy! Mini-camps and programs for young athletes to help them stay active during their time off will be available to a variety of age groups. Please click on the links to the left for full details on each of our programs. Winter vacation programs are now available! 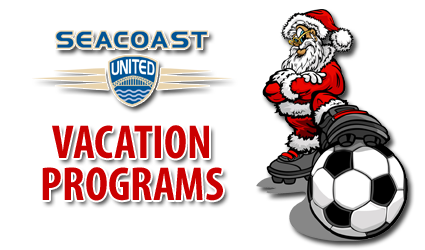 For questions on any of our winter vacation programs please contact Scott Jarosz at sjarosz@seacoastunited.com.